Xiamen is carrying out the 144-hour visa-free transit scheme in Gaoqi International Airport and all sea ports within the city. The visa-free transit policy states that passport holders from the designated 53 countries including USA, UK, New Zealand, and Australia are able to transfer in Xiamen for a layover not exceeding 144 hours on their way to a third country. When using the 144-hour visa-free transit facility in Xiamen, the allowed areas to stay is limited to Xiamen City only, including the outskirts. Passengers are not permitted to visit any other cities in mainland China. What Is an Eligible Route? Note: A and C refer to different foreign countries, Hong Kong, Macau, and Taiwan. It's the most essential thing to confirm that your route is eligible before departure. You are supposed to enter Xiamen from Country A, stay for not more than 144 hours, and then leave for Country C. During the period, you cannot stop over in any other mainland Chinese cities. How to Apply for 144-Hour Visa-Free Transit? What Are the Eligible Transit Ports? In Xiamen, the eligible ports include Gaoqi International Airport and all international cruise ports, indicating both air and ship passengers have access to the 144-hour visa-free transit scheme. Gulangyu Island is definitely the most rewarding attraction in Xiamen, however it requires you to have at least two days for the travel. 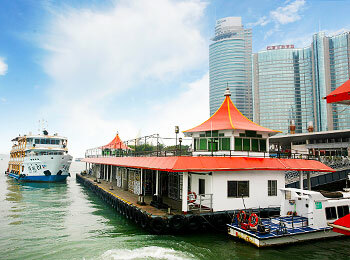 Passengers with long layover are highly recommended to book a tour to Gulangyu Island, a garden on the sea, to fully indulge in the leisurely atmosphere. Shuzhuang Garden, Organ Museum, and Bright Moon Garden are the must-see attractions. On the Sunlight Rock, you can have a bird's view of the whole island with century-old exotic architectures scattered here and there. Artistic bars, cafes, bookstores and restaurants are all good places to spend a leisurely afternoon. South Putuo Temple is a prosperous Buddhist temple in China with lots of pious pilgrims. 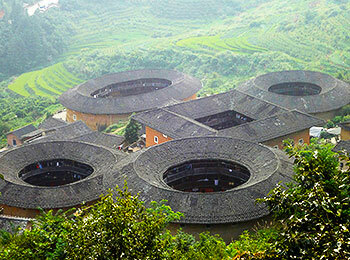 Dating back to the Tang Dynasty (618 - 907), it remains traditional Chinese architectural style. A whole visit takes about 2 hours, and then you can climb the rear mountain of the temple. It's worth mention that the vegetarian food in the temple is really nice. If time permits, pay a visit to the nearby Xiamen University, which is ranked as one of the most beautiful colleges in China. 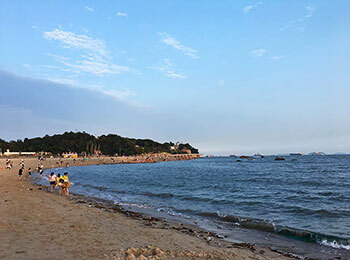 Rent a bike at Hulishan Fortress or Xiamen University and start a cool trip along the Island Ring Road. The fabulous sunshine, golden beaches, gentle seashore breezes, and tall coconut trees will make you fall in love with Xiamen. is travel: taiwan-xiamen-hong kong allowed 144 hours visa free policy? Yes, you can enjoy the 144 hours visa free policy. Vancouver to Xiamen to Ganzhou to Kathmandu. Do I need visa? Time in China 12 hours as we transit. It depends on your passport. Some nationalities require a visa to transit Xiamen. If you qualify then you can transit China for up to 24 hours in total. Canadian passport holders would be ok.
Just checking if I can qualify for a 144 hour free transit visa. I will be flying from Sydney to XM on 9 April 7.30pm, then take bullet train to Hong Kong on 14 April 10.15 am. I can show my confirmed train ticket booking and my return air ticket from Hong Kong back to Sydney. You need a visa for that. Xiamen Railway Station is not a valid port of exit. Only the airport and international cruise ports are allowed. Can I visit Mt. Wuyi Within the 144 day visa free policy? No, you are required to stay in Xiamen city limits. 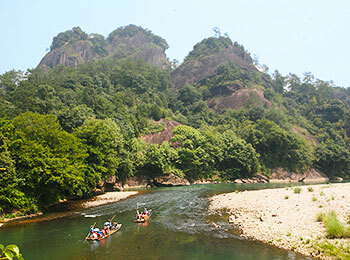 Mount Wuyi is around 500km outside of Xiamen. I keep hearing all these stories about having to go collect your luggage, go out the door of the terminal, go through Chinese customs again, apply for a Transit Visa and then check myself and or my luggage on to my connecting flight at Xiamen Terminal. I'm flying LAX - Xiamen - Hong Kong in Business. My question is, would having a Chinese Visa upon landing allow me to skip this process or is it the same process either way, except for the need to acquire a Transit Visa? Yes, as I know, you need to have the same process except acquire the transit visa.